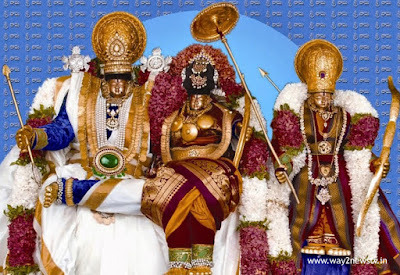 Sri Rama Navami on 26th. This year, a full stop to confusion over all the festive dates. doubts about the maintenance of the latest Sri Rama Navami, along with Sankranthi and Mahashivaratri. Sri Rama Navami on March 25? Or manage on 26? There was a doubt among the devotees. This confusion has arisen because two Telugu state governments have arranged to organize this festival on different dates. According to the calendar of the True, originally published on March 25, Sri Rama Navami. But the Telangana government announced that it would hold a Sri Rama Chandra Swamy Kalyan Yatra at Bhadrachalam on 26th. AP is going to be followed by the TTD calendar. On March 25th, we also explain why it is possible to manage. Chaitrasudda Navami Tithi comes after sunrise on March 25. It ends at sunrise on March 26th, and comes by the time. So, the dharmasindhi said that Navami celebrations should be held on the day before. On 25th March, Sri Rama Navami celebrations will be held on March 25. Kodandaramaswamy's kalyan festival will be held on March 30 in Andhra Pradesh Bhadrachri vontimitta. The Navami Day marrage is conducted in Bhadrachalam where the Swami is supposed to be on the full moon day. It is also said that Dharma Siddhartha is making clear that it does not work with Ashtami. Accordingly, they believe that the Telangana government will be held on 26th September as per the Vedic Committee of the Sri Seetharachandra Swamy Temple in Bhadrachal. What is the original virtue? Dharma Siddhu is an exemplary law that tells the common people about the practices and practices of the Vedas. The various festive decisions, procedures, multitudes of peace, marriage blessings, ligna fruit, muhurtha decision, etc. in this book.